Let me begin this week by paraphrasing the great customs inspector Herman Melville: Whenever I find myself growing grim about the mouth, whenever it is a damp and drizzly November in my soul, then I account it high time to get to 125th Street as soon as I can. For nothing puts a smile upon my face, nor sparks so many column ideas, as my travels among the ceaseless stores hawking camo coats, shea butter, faux alligator shoes, and, above all, really cheap electronics. How cheap are we talking here? Well, I've waxed poetic before about 125th's plethora of Discmen knockoffs and shelf systems that resemble Voltron's constituent parts. 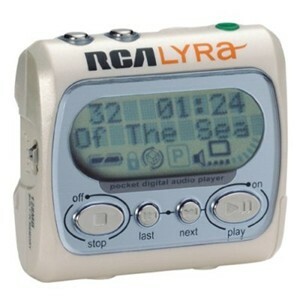 But I think I discovered the strip's cake-taker this past Saturday: a store near Adam Clayton Powell Boulevard had a sidewalk bin filled with $9.99 RCA Lyra 128 MB MP3 players. A low price, to be sure, but a real bargain? If you break it down logically, the answer is definitely "no way." But I can see what the store's proprietors were thinking: they're hoping the Bandwagon Effect will help 'em clear some inventory. A semi-coherent definition of said effect after the jump. PLUS: The Van Morrison lyrical debate heats up! Let's start with a little mathematical breakdown here. Those ten-dollar Lyras are offering a meg's worth of storage for approximately 8 cents. Compare that to this one-gig player from Kinamax, which gives you a meg for about half that price. Since features on low-end digital audio players tend to be pretty non-existent, storage capacity is the one spec that really merits attention. Better to save up $20 and go for the better bang-for-your-buck deal. But if you're stuck on a sub-$40 budget, does it really make sense to go all digital in the first place? The superior deal is a Discman descendent that can play MP3s. They go for about $15 nowadays, and assuming that you max out each disc to its full 700 MB capacity, that's a real bargain—about two cents per meg. Can't get much more low-end than that, now, can you? Such calculations are rarely made by us cheapo consumers, however. We want something that inexpensive, sure. But rare is the bargain hunter who wants to be left in the technological dust. We know we're not gonna be getting top-of-the-line equipment, but we also don't want to feel we're settling for yesterday's news. In other words, we've got egos, just like the rest of humanity (save for those who've attained Nirvana, and the late Larry "I Had an Ego Death" Hagman). With iPods and their ilk way out of the low-end price range—you know how long it takes me to make $200?!? !—that means we're stuck with the likes of the Lyra. Sure, there's a nagging internal voice that lets us know the player's a rip-off at its core. But the temptation to join the future is strong among low-enders, even if it's only a symbolic gesture such as rocking an MP3 player in lieu of a CD unit. And upon seeing that one can join that glorious digital future for the low, low price of $9.99, well, forgive a skinflint for experiencing a little irrational exuberance. Alas, it's all a mirage. Once the buzz of going purely digital wears off, one realizes that he or she's saddled with an inferior product that earns one derision, not respect, from the geek crowd. Sort of like that time you really, really wanted some Air Jordans, but your dad bought you some counterfeit Reeboks instead—you think you've accrued enough footwear cache to impress your schoolyard pals, but they just end up ripping on you nonetheless. (Yes, I'm speaking from experience here.) The urge to hop on the bandwagon is quite strong, and leads to low-end consumer decisions that rarely have the intended effect. 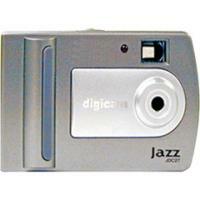 I shudder to think how many Jazz cameras have been sold to low-enders with a gleam in their eye. Can't blame a discount electronics merchant from trying to take advantage of this impulse, I guess. Not can I blame him for not affixing warning labels to each Lyra that read, "CAUTION: May not be as high-tech as you think, and will probably get you laughed at on the subway, thereby destroying your illusions of having joined the digital elite in some small way." But then again, perhaps the momentary high of the purchase makes up for inevitable disappointment. For some people, ten bucks is a reasonable price to pay for a few minutes elation—an axiom that Pablo Escobar knew all too well. MINE OR MAN: Several commenters have disputed the Van Morrison quote I cited in last week's column. The general argument is that Van and his brown-eyed girl don't take their transistor radio down to "the old mine", but rather down "the old man"—"man" being slang for either a California highway or the Mississippi River. Is there any way to settle this definitively? Does anyone know if Van ever commented on the lyrics? (Can't say I trust lyrics sheets from any "Best of..." compilations, so please don't cite them.) I did a little Google fight between the terms, and I still think it's "the old mine". I mean, hey, Van's from Belfast, and I can totally see him and his girl drinking lager and heavy petting in some open-cast mine on the outskirts of town. Wait, does that make any sense? I've been to Belfast several times, and can't remember seeing any mines, just lots of political murals and tumblers of Bushmills. Help! Leave definitive evidence of "mine" or "man" in comments, or drop me a line. Can't rest until I know the answer.